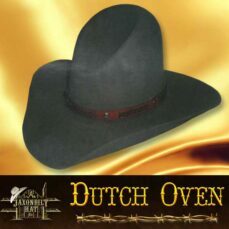 The hat, the cowboy’s trade mark. 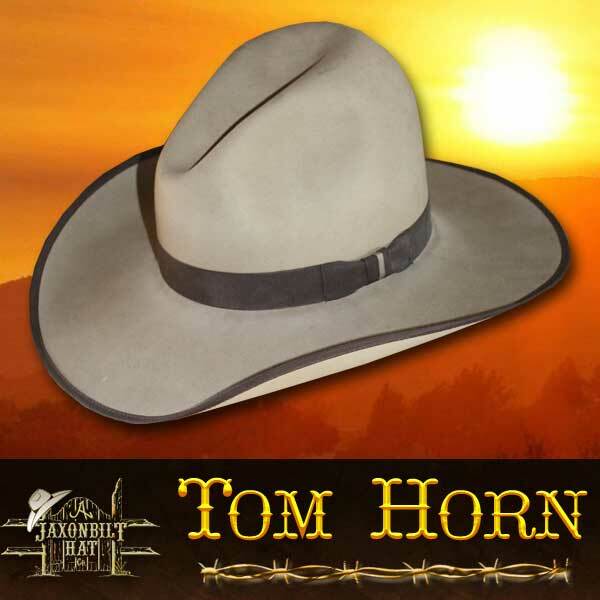 No item of clothing more quickly identifies the wearer, then does the hat. 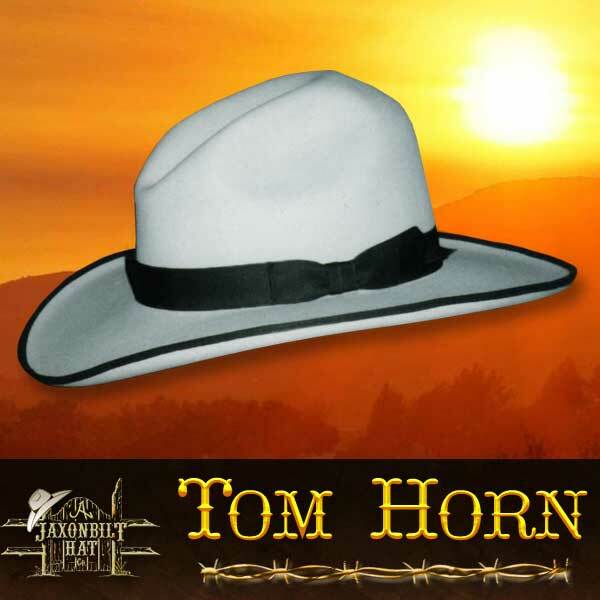 The “Tom Horn” is one of JAXONBILT’S most popular old west hat styles. Fine felt, trimmed in “field brown grosgrain ribbon”. 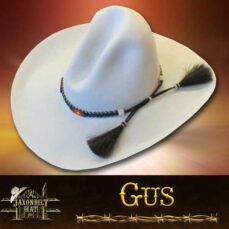 The more traditional version of this beautiful hat can be ordered without the bound edge and in the more conservative silver belly trim. 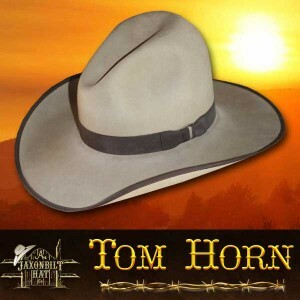 The crown is low 5 1/2″ to 5 3/4″ and the brim a modest 3 3/4″. Available in 5X to 100X. Your choice of color.